The NASCAR Xfinity Series has been exciting for the last 4 weeks. Not that it wasn’t exciting before. But, there’s no question the product presented to the race fans has improved without Cup drivers in the field. For the last 4 weeks, MENCS drivers have been barred from the support series. For 2018, all 4 the Dash for Cash races and the qualifier for the first round in addition to all playoff races are lacking drivers from the premier series. But, what’s an Xfinity winner’s perspective of it? 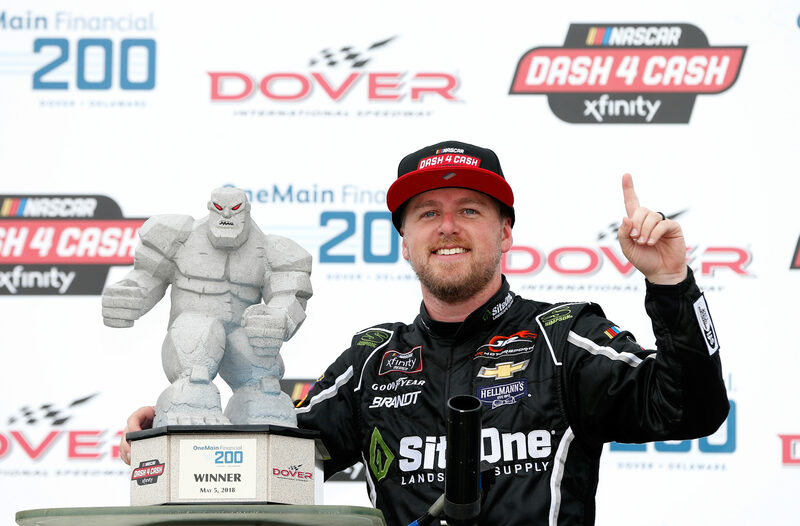 Justin Allgaier claimed the win yesterday at Dover International Speedway. He fought off a door from his teammate Elliott Sadler and went to victory lane for JR Motorsports. “It’s been unique. I don’t know that I could tell you that it’s better or worse,” Justin Allgaier says after winning the NASCAR Xfinity Series race at Dover.